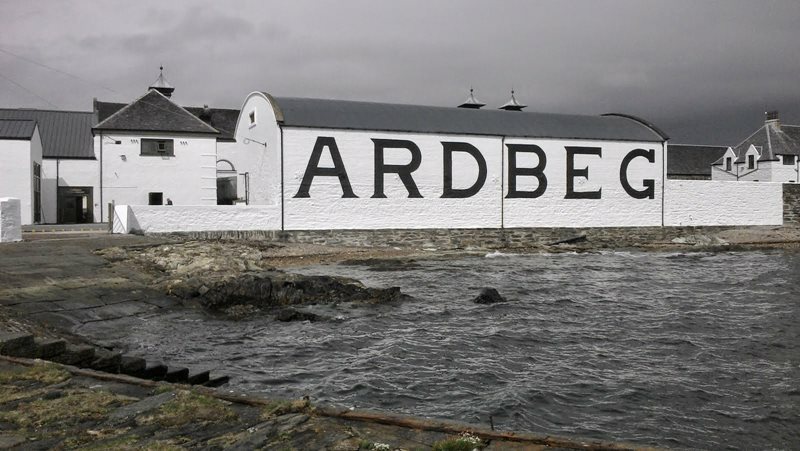 In April we took a 5-day tour of a lifetime for any whiskey enthusiast. We flew into Edinburgh early, picked up a car and hit the road for Campbeltown. 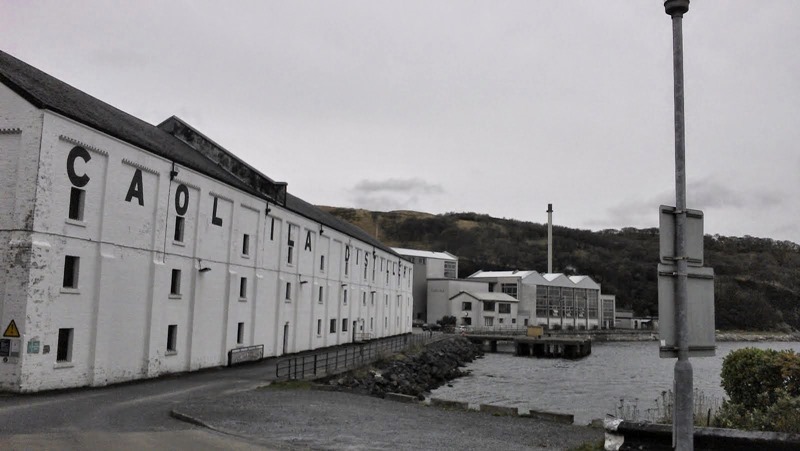 Campbeltown is home to one of our most loved Scottish distilleries - Springbank! The scenery on the drive across was savage. When we saw a sign for an unexpected distillery along the way we couldn't resist a detour. But back on the road again, and next stop Campbeltown. We checked into our B&B and located a watering hole for a feed and some whiskeys. What we found blew our minds - the Ardshiel Hotel. What a selection of whiskeys! The following morning we had our tour of Springbank. We were so keen, we were there before any of the staff! We were shown around and what we saw only deepened the love. They are one of the few distilleries still firing one of their stills with a fire. They have their own malting floors. They make unpeated, lightly peated and heavily peated whiskeys and they use brand names of lost distilleries in Campbeltown. 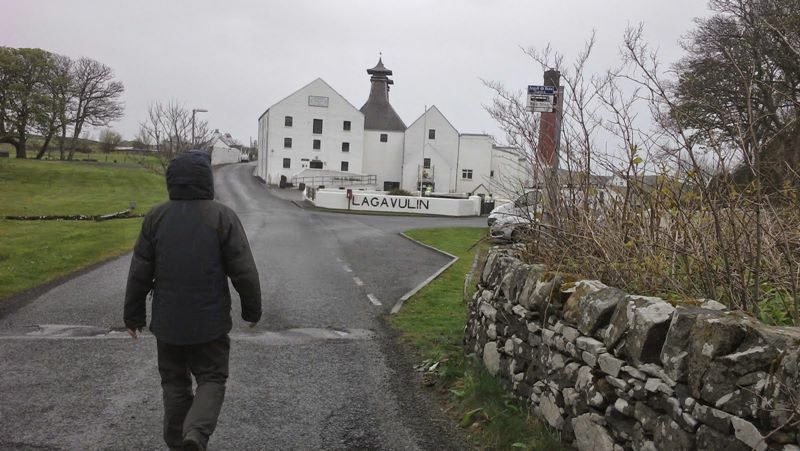 Our young tour guide walked us up the road to their sister distillery that they brought back into production in 2004. The name of the distillery is Glengyle and their whiskey brand is Kilkerran. When we got back down to Springbank Pop was waiting for us to take us through our dunnage warehouse tastings, straight from the barrels! When asked his strategy for the tasting, thinking we'd be building up through the profiles, Pop simply said "We'll start down the left and work our way back up the other side!" - brillliant! We tasted a range of whiskey styles - Longrow, Hazelburn, Springbank and Kilkerran. See if you can tell which one of us indulged more. 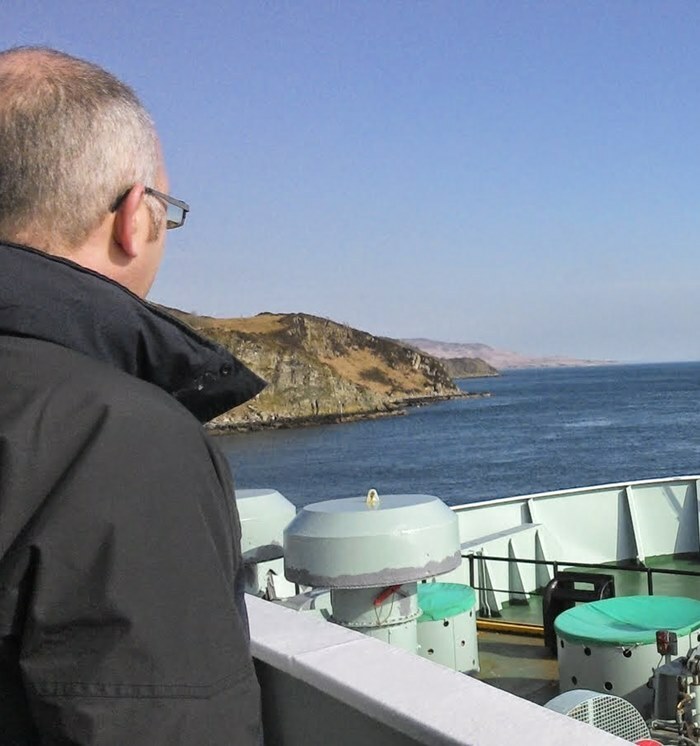 We didn't have much time to rest on our laurels as we had the ferry to catch to take us over to the island of Islay - the mecca of the world of whiskey. We stayed a couple of nights in Bowmore with John & Margaret at Lambeth House on Jamieson St - being Irish, how could we resist! It was like a home from home. John & Margaret were fantastic. And we later learnt that their son was our bus driver on a bus we caught back from one of the distilleries. Early next morning we headed to another distillery we love - Kilchoman. 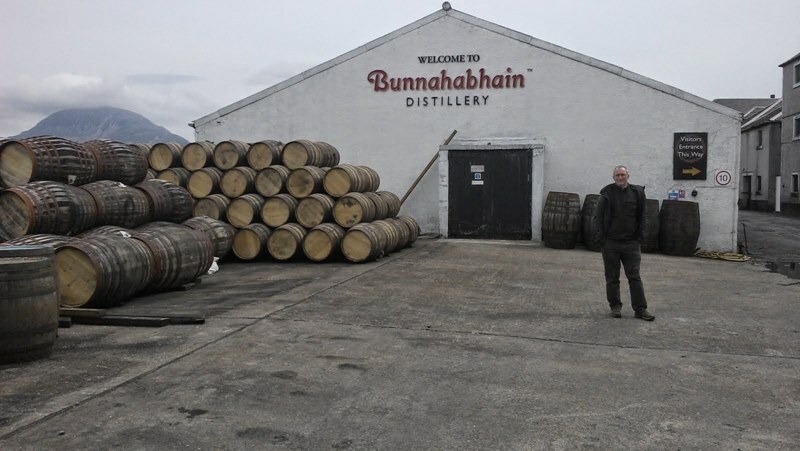 This is a small, farm distillery on the north west of the island established in 2005 by Anthony Wills. 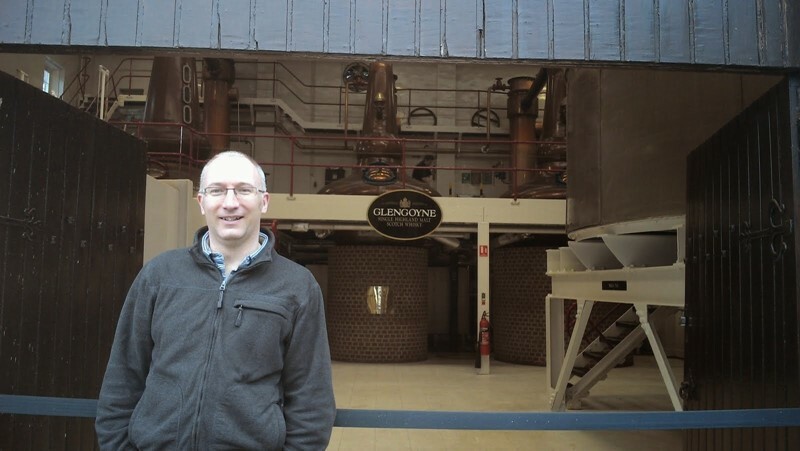 This distillery is a little off the beaten track, which is great for meeting some of the locals to help with directions! We got such a treat with a special tour with the master distiller John MacLellan (RIP 2016). John was so generous with his time, knowledge and total lack of BS. Did you spot the Fr. Ted fan? 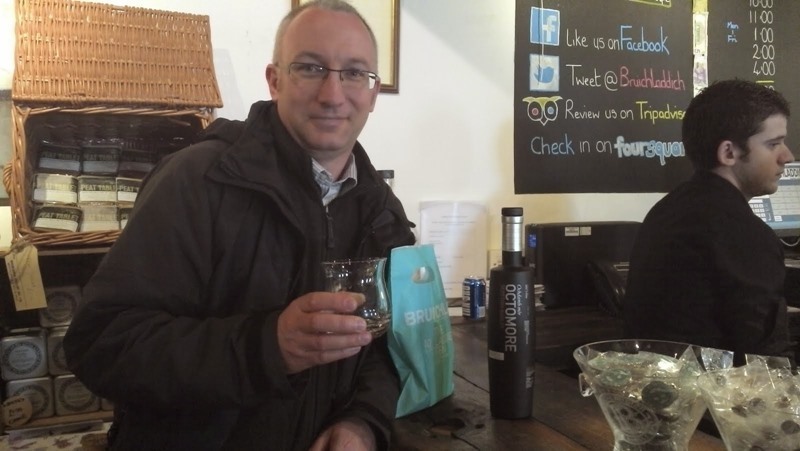 From there, we took in Bruichladdich, where an Octomore was a necessary indulgence. 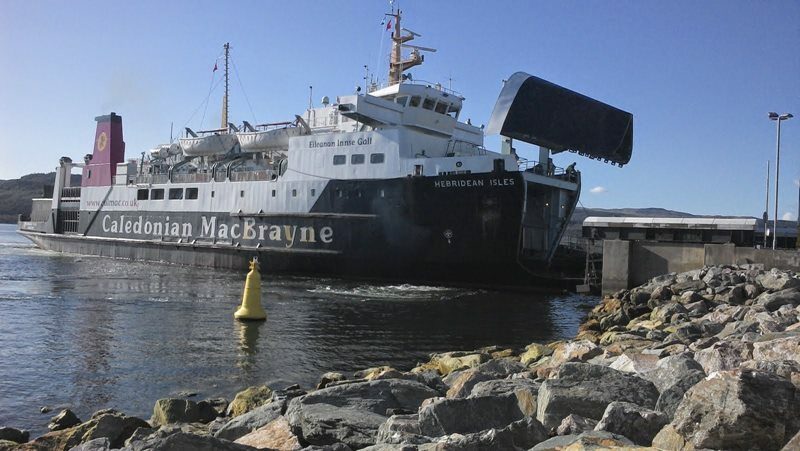 Next, off to the north east of the island to see Bunnahabhain. Back in the day a small village built up around the distillery to house the staff. These are all empty and in ruin now, which gives an eerie feeling coming up to this distillery. 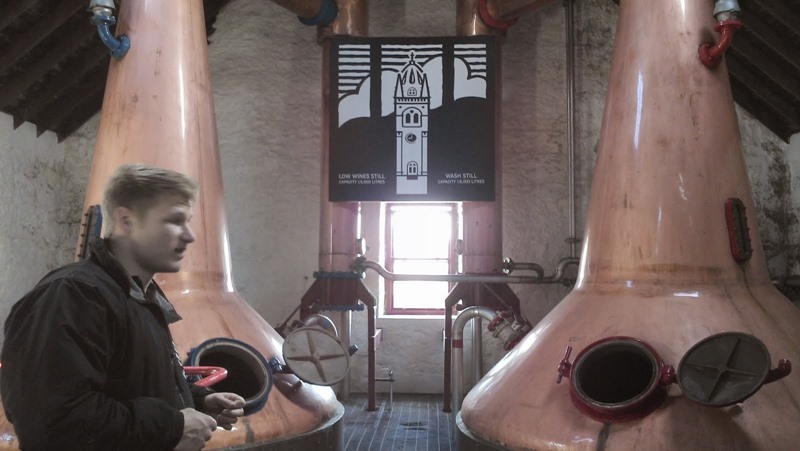 This distillery experience isn't best setup for public visitors, but they do make great whiskey and we met two mad lads from China that we kept bumping into throughout the day. We caught a late lunch at the hotel in Port Askaig before taking on our last distillery of the day - Caol Ila. This is a massive distillery. The stills are huge. We stuck our heads in for a short while, but the lady in the shop insisted we take the tour and have a tasting, all complimentary! Who are we to turn down such hospitality. 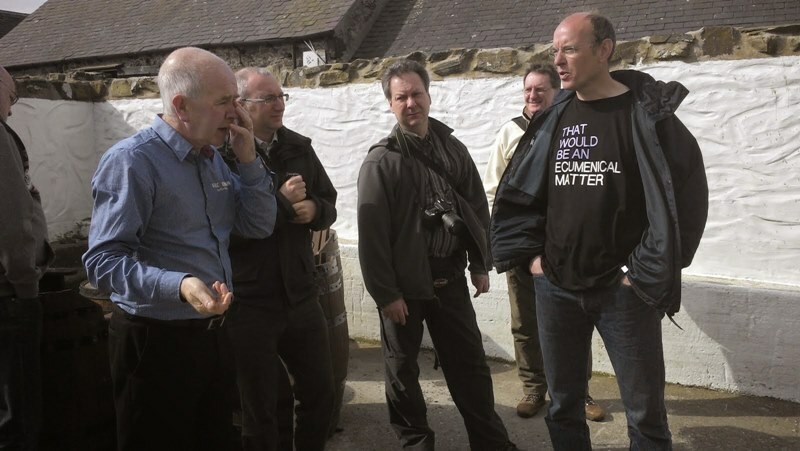 We met some Scots during the tasting that were also staying in Bowmore. 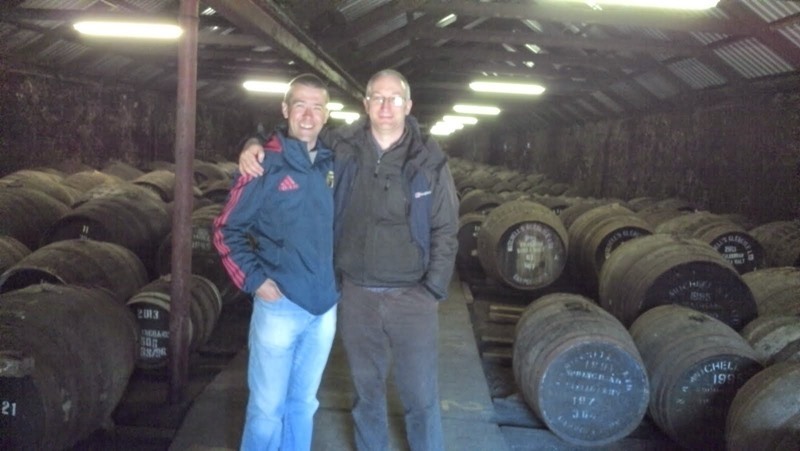 They were on their annual trip to check out how one of their cask was maturing in Bruichladdich. We headed back to Bowmore where we had dinner in the conservatory restaurant in the Lochside Hotel. Great food and lovely view. The whiskey wasn't bad either. 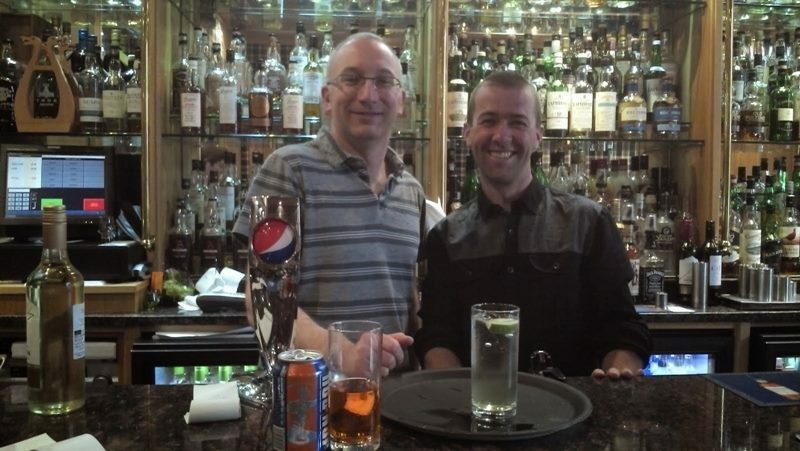 The Bowmore Hotel also had a good whiskey bar for a night cap. The following morning we started our tour of the south of the island, where we got the bus to Port Ellen to tackle the distilleries on foot. 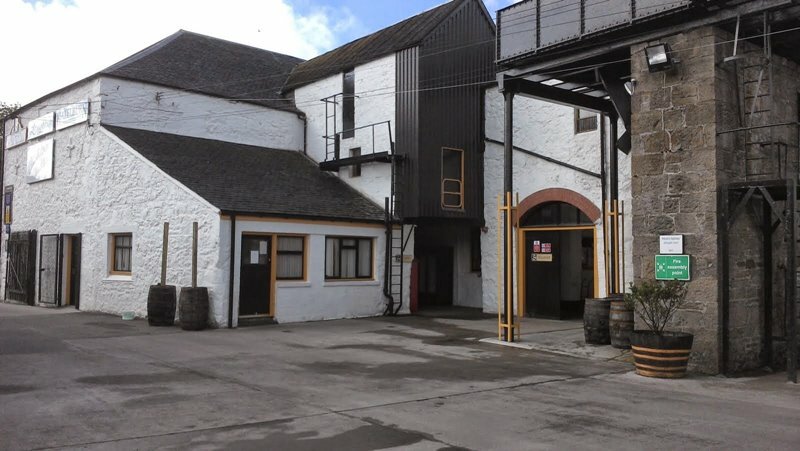 The malting house was closed, so it was on to Laphroaig. Seeing as it was only April, there wasn't a tour when we arrived, so we booked in for one on the way back. Next up, Lagavulin. We sat into the tasting room, where a tour was coming to an end. We were treated to a couple of samples of their Lagavulin bottlings and one straight off the still. The staff there were just heading off for their lunch in the lovely restaurant in Ardbeg, and they kindly gave us a lift. Lunch was fabulous and so too was the lovely tasting plate we had for dessert! 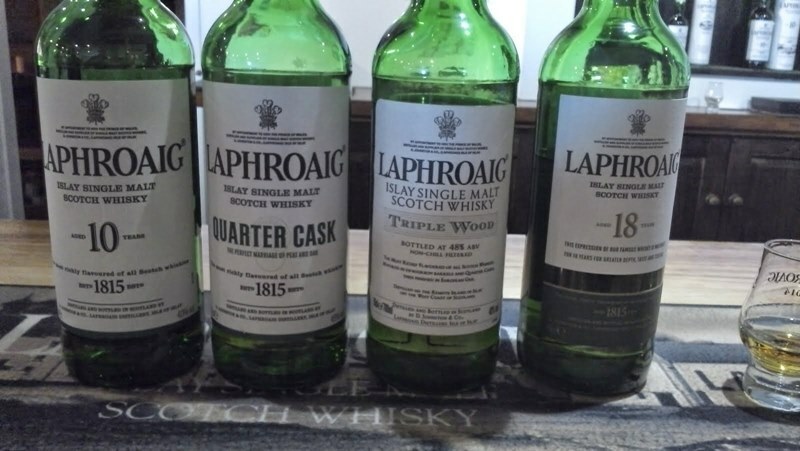 And so, back to Laphroaig, our last Islay tour and sampling. 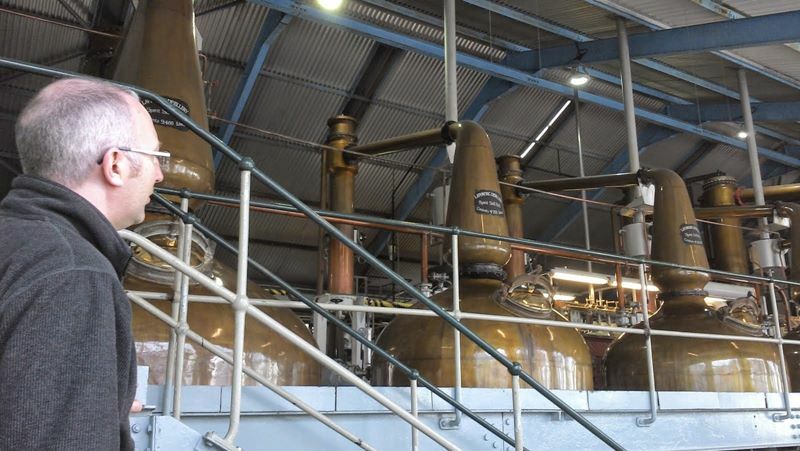 One advantage of visiting in April before the masses arrive is that distillery staff have a little more time to chat. 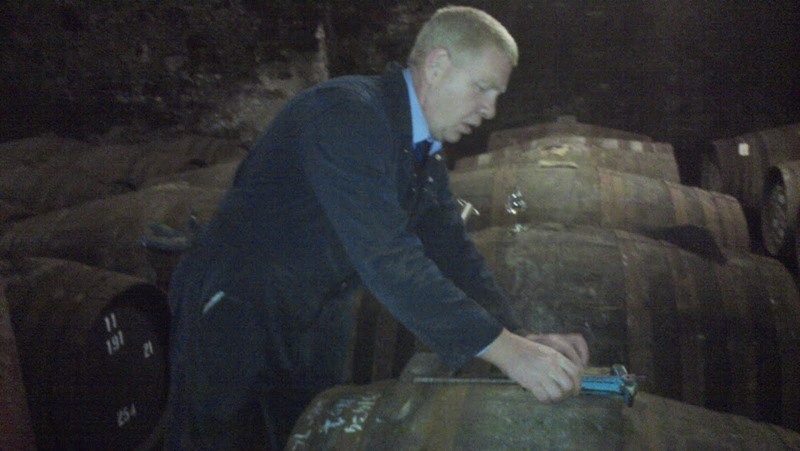 We met John on his break, who worked all his life lugging barrels at the distillery. He was now giving tours. He had some great stories! Laphroaig is one of only a handful of distilleries still doing their own floor malting. 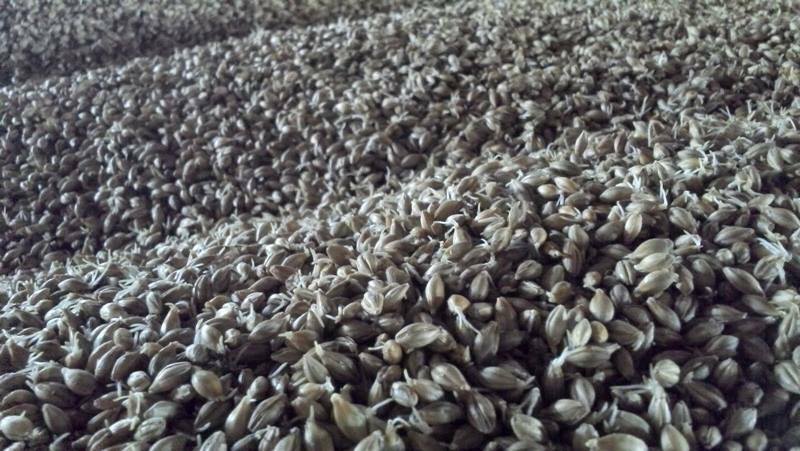 Luckily for us, they had a floor of malting barley laid out when we visited. The stills were impressive too. 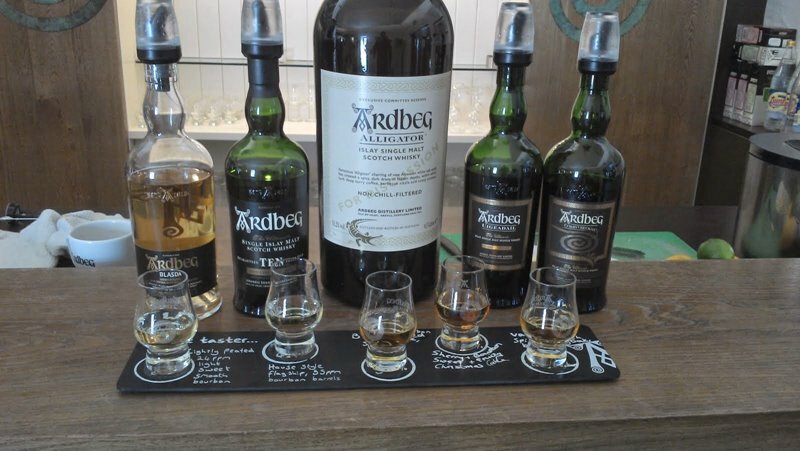 We had a gorgeous tasting plate at Laphroaig. What a way to end the trip of a lifetime!